Are you planning to launch an employee of the month recognition program or upgrade your existing one? 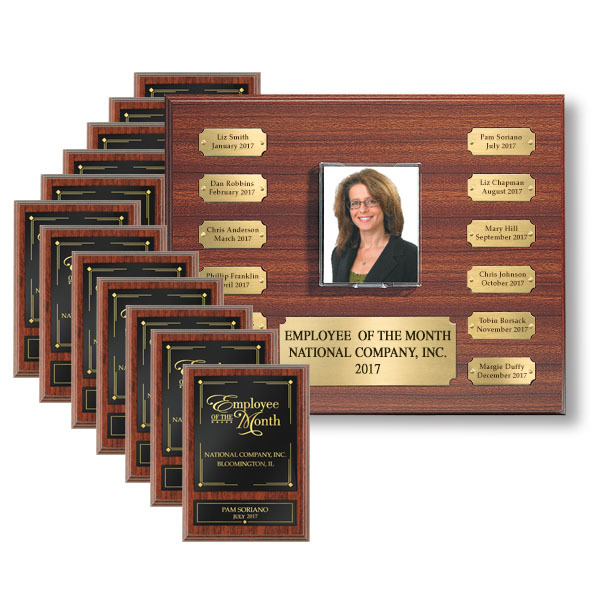 If so, this Traditional Recognition Program has everything you need to reward and recognize your most valuable employees, month after month. This version of our best-selling program features a 3 3/4" x 4" photo on a handsome, beveled, rosewood plaque. The Individual Traditional Plaques combine the same rich rosewood finish with black plates enhanced by an elegant border. We also offer a Traditional Polaroid Photo Employee of the Month Basic Recognition Program -- click here.